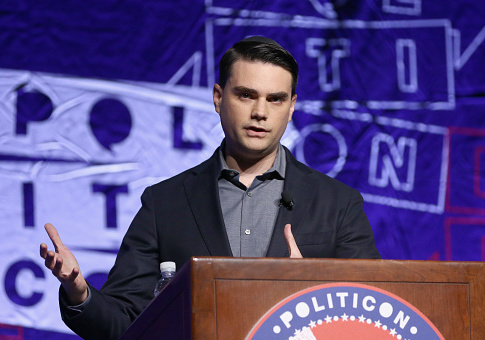 "Mr. Shapiro’s appearances routinely draw protests that include extremely divisive and hateful speech and behavior, which is offensive to many people, regardless of their age, politics or beliefs," Biggs Garbuio told the College Republicans, in a response provided to Campus Reform. "Gonzaga University is committed to the human dignity of every individual. This is the core of our mission, based on the teachings of Christ Jesus, and the foundations of the Society of Jesus. We stand in solidarity with vulnerable members of our community who may be targeted for discrimination, ridicule, or harassment by others." Biggs Garbuio also cited security concerns, given the violent left-wing protests that have accompanied Shapiro events on campuses such as the University of California-Berkeley. "Gonzaga’s events policy requires us consider whether an event would pose substantial risk to the safety occurred to any member of our campus community," she wrote. "In light of what has occurred on other campuses, our security team has raised questions about whether we we can adequately secure a campus venue." As a private school, Gonzaga is not legally required to allow Shapiro to speak as a public university would. The decision comes two years after DePaul University, another Catholic school, blocked Shapiro from speaking, also citing the possibility of violent protests. This entry was posted in Politics and tagged Ben Shapiro, College Campuses. Bookmark the permalink.